We have associations with many travel insurance companies and can easily help you choose the best insurance plan that matches your need at very affordable charges. 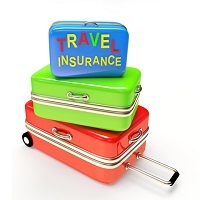 Usually travel insurance policies cover claims on emergencies like medical problems, personal accident, loss of baggage, delay in baggage arrival, loss of passport, travel delay, etc. We are a trusted travel company having its office in New Delhi. Our expert team of travel professionals is capable of suggesting just the right travel policy matching your needs.